Hotwire is becoming more and more a go-to tool for even novice vacation planners. While it can provide fantastic savings, it may also deter from your trip if not used correctly. For those unaware, Hotwire is a third-party hotel booking website which typically offers lower rates than booking directly through the hotel or other common third-party sites such as Expedia or Hotels.com. They are able to do this by allowing you to book a hotel based on a set of criteria (rough location, amenities, star rating, customer review aggregate) without knowing the exact property ahead of time. The hotel name is only revealed once your non-refundable payment has been made. While I don’t fully understand the economics of this method, I have assumed it works because hotels use the service to sell-off otherwise unfilled rooms at a discounted rate which doesn’t contradict the ‘lowest advertised rate’ found on their website. If you are loyal to a specific hotel brand or chain (i.e. you wouldn’t stay anywhere other than a Homewood Suites by Hilton when traveling in North America), Hotwire isn’t for you. Besides the fact that you have very limited control over which brand you end up with, you are also likely missing out on deals associated with loyally programs run by your favorite brand. 2) Are The Savings Worth The Risk? Find a few hotels on a regular third-party booking site like Expedia. Pick ones that you like based on area, reviews and star rating. Now compare the prices of those hotels to what Hotwire is offering within the same criteria. If you are saving under $20 per night you must decide if the risk of booking the ‘unknown’ is really worth it? A major concern some travelers have with Hotwire is the inability to know exactly where the hotel will be located. The website will divide cities into ‘zones’ which can be as small as a few square kilometers, but may be much larger. Carefully review their zone map and when you find the zone you want to be in, imagine your hotel being on the far edge of that zone. Is that something that would severely disappoint you? If so, Hotwire may not be your best option as they cannot offer the location precision you are looking for. 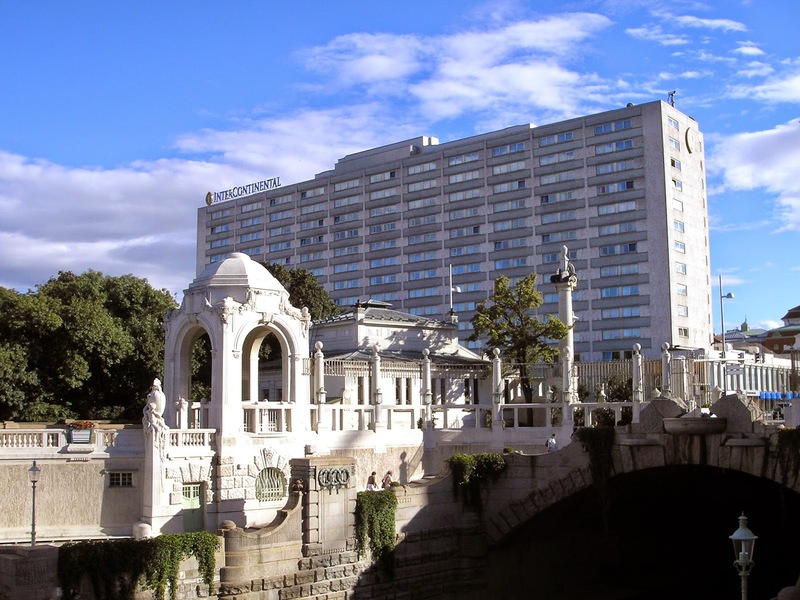 Intercontinental Wien (Vienna) - easily my best Hotwire find. When booking a hotel direct or even via Expedia/Hotels.com you are usually offered a choice of bed configuration. Two doubles, two queens, one king etc. When booking through Hotwire they will only guarantee there will be enough bed space for the people you’ve specified. If you are booking a room for two people you will have no control over which configuration you will be given. Thus two people expecting their own beds may be forced to share one. This is typically a moot point for a traveling couple. Because Hotwire assigns you a hotel based on a series of criteria, chances are someone has previously looked for the same thing and made the booking. There are websites where fellow travelers post their search criteria and subsequent hotel bookings. This can be very helpful with narrowing down the list of potential hotels you may receive. BetterBidding.com is a well-known website which provides this information. While there may be many hotels in a certain area with a certain star rating, if you pay close attention to the exact amenities they are listing (pool, conference center, gym etc.) it may rule some of them out. Explore sites like these and you may be able to narrow down your choice to 2 or 3 possible outcomes. Please keep in mind however that Hotwire can change the selection of hotels they offer at any time and there is no way to identify the options with 100% precision. After booking you can always contact the hotel directly to discuss any special requests including the aforementioned bed issue, or to just verify your details . Because you booked via third party and likely got a price below their posted rate, they may be unable or unwilling to guarantee your requests or may want to charge you an extra fee outside of your payment to Hotwire. There is no harm in trying though as the worst they could say is no. Have any Hotwire questions, or know some other tips I didn’t list? Drop a comment below!